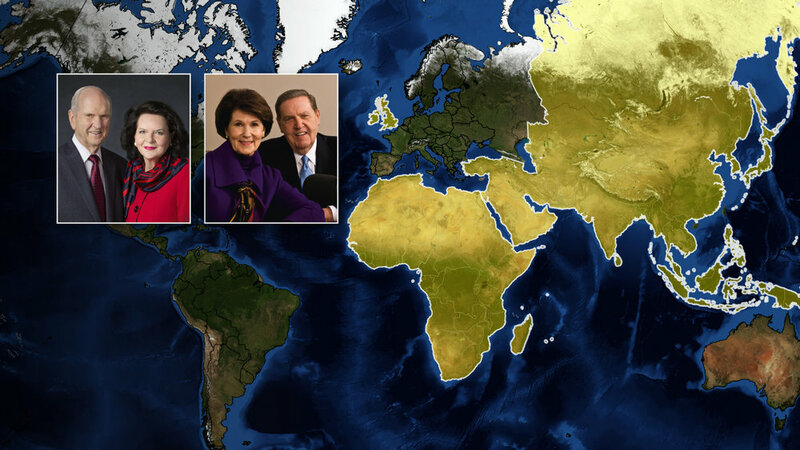 For two weeks in April, President Russell M. Nelson and his wife, Wendy, along with Elder Jeffrey R. Holland and his wife, Pat, will visit several countries in Europe, Africa and Asia. They will depart April 10 and will meet with members and missionaries and visit Church sites in these areas. Their trip will conclude April 23.